An intimate portrait of artistic director Dawn Walton as she leads her company, Eclipse Theatre, to its premiere of the first play in her ground-breaking Revolution Mix programme. 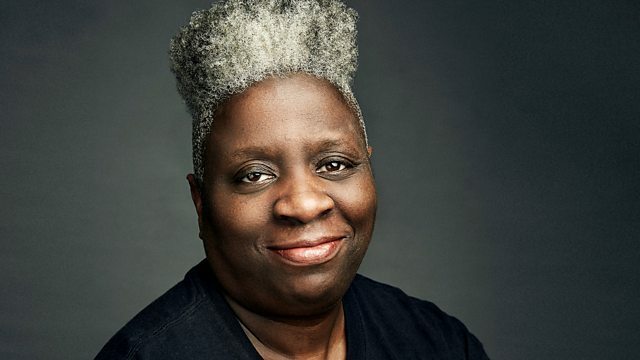 Dawn Walton, artistic director of Eclipse, the black theatre touring company, was bored of only ever coming across three black stories in British theatres - slavery stories, immigrant stories, and gang stories. She knew there was a far greater range of stories out there and she wanted to tell them. Revolution Mix is the result - a programme of new plays inspired by 500 years of black British history and it will be the largest ever presentation of black British stories performed in regional theatres. In this intimate portrait of artistic director Dawn Walton, we follow her as she leads her company, Eclipse Theatre, to its premiere of the first play in her ground-breaking Revolution Mix programme - Black Men Walking. It's a new play inspired by a real-life black men's walking group in Sheffield. Not only does the play challenge clichéd representations of black people, it's also an experimental work fusing music, movement, and magic. In this programme, as well as hearing from some of those involved in the production, we hear Dawn rehearsing her company, coping with a significant bereavement, discussing her life before entering the world of theatre, and finally sharing her ambitions for British theatre. Revolution Mix is an enterprising programme and in Dawn Walton it has a doughty champion.